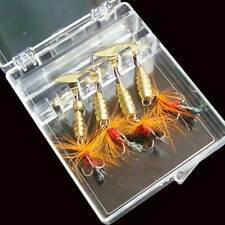 Item type: Fishing Lure. Import Duties. Note: color in kind. 1 / 16oz (3g) one. Bright colors to attract big fish, surface laser light bright eyes full of bright, bump corrosion resistant coating |3D eyes make it a powerful catching tool |Comes with 2 sharp treble hook |for sea bass and other freshwater bass has a very good seduction . Factory Direct Sale! Top Quality! Your Best Choice! 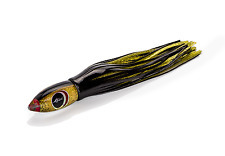 Tronixpro Sea Pike Fishing Loose Floats. Tronixpro floats are great for targeting Mackerel, Garfish, Pike and Wrasse. Size 35gr - 17cm length per float. 5 floats will be supplied. Busy periods may take a little longer! Connemara Krill by Gowan & Bradshaw Sold in Packs of 2 for a better deal. 4 HOOKS PER RIG. 60mm main line. 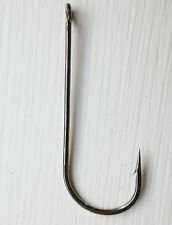 SIZE 3/0 HOOKS. THE PHOTOGRAPH DOES NOT DO THIS ITEM JUSTICE. Colours GSDB BCT CP. Available colours are: BOIL GSGO, BWT, BCT, CP or GSDB. If you want 'Life-like Squid Jigs' that catch squid in even the most heavily trafficked waters then these are the jigs you need. 86cm Long and with the smaller and much easier to use 50mm tube bore, this pump will save all sea anglers a fortune on Lug and Rag worm over the years. RRP £59.99. 5 x 15cm Top Quality Highly Lumi Sea/Boat Fishing Squid Lures Wreck/Norway Cod. 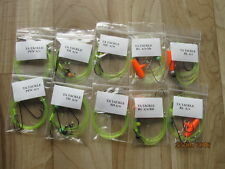 5 x 15cm Very Highly Lumi Squid Lures. Highly Lumi Squid Body With Mixed Colour Tenticles. Thick Heavy Duty Top Quality Winged Squid Lures That Looks Real To Life. 100lb Very Strong Quality Mono Line. 8/0 Bronzed O'Shaughnessy Strong & Very Sharp Hooks. 3/0 Heavy Duty Swivels. ** All My Squid Rigs Are Hand Made To The Highest Standard So Quality Is Guarenteed ** Lumi & Red Beads Attracters Above Squid. 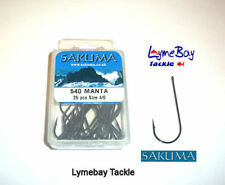 A Must For Any Tackle Box,Ideal For Wreck/Reef/ Rough Ground Fishing Trips. Great For Norway Cod/Halibut & Many More Fish That Norway Has To Offer. * Please Look At My Other Lures I Have Listed * Thank You. 3 X STANDUP JIGGHEADS FOR MANIC PEELER CRABS Stand up jig head for the 3D Crab, giving the perfect fall rate and action like a live peeler crab escaping – Strong short shank ultrasharp jig hook will enable you to land even strong predators! 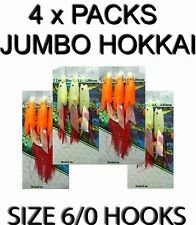 4G #8 hook PLEASE NOTE THESE JIGHEADS ARE ALL MIXED PACKS 1 OF EACH COLOUR 3 IN TOTAL This listing is for the jiggheads only PLEASE SEE OUR OTHER LISTINGS FOR THE MATCHING 3D CRABS.